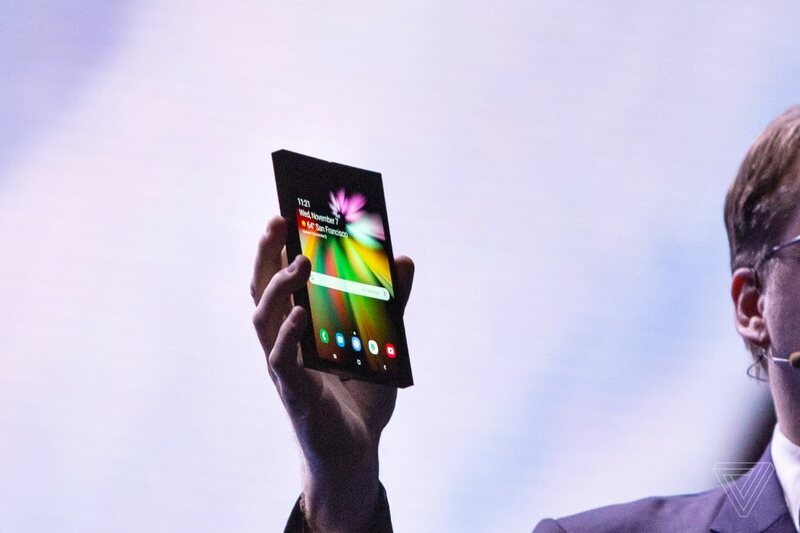 Samsung’s Justin Denison unveiled the company’s prototype folding smartphone at the developer conference yesterday, and despite being heavily disguised, it was easy to see that the device could open to reveal a 7.3-inch display, perfect for entertainment options. 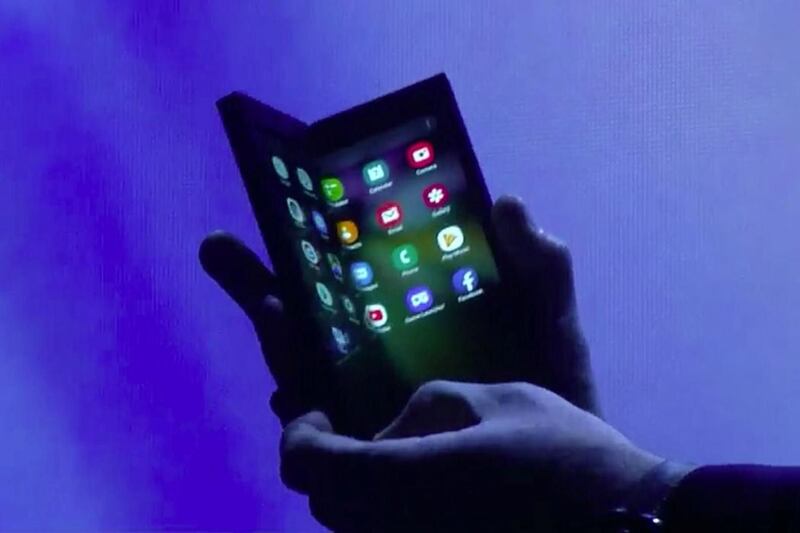 This was made possible due to an Infinity Flex Display that folds from a 5-inch LCD to a 7.3-inch flexible OLED panel. Continue reading for another video, more pictures and information. “Samsung’s creation is far more advanced, and the fact that it’s courting developers is a sign that it’s well aware of the work it needs to do. 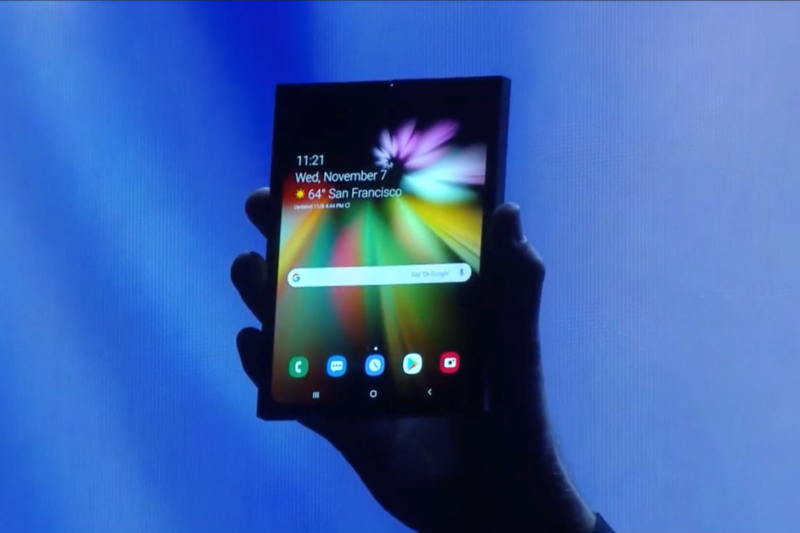 It’s still far too early to praise or condemn Samsung’s initial foray into the foldable hybrid market, but it is exciting. After all, this is one of the world’s biggest device manufacturers showing off a bold new step in mobile computing,” according to Engadget.